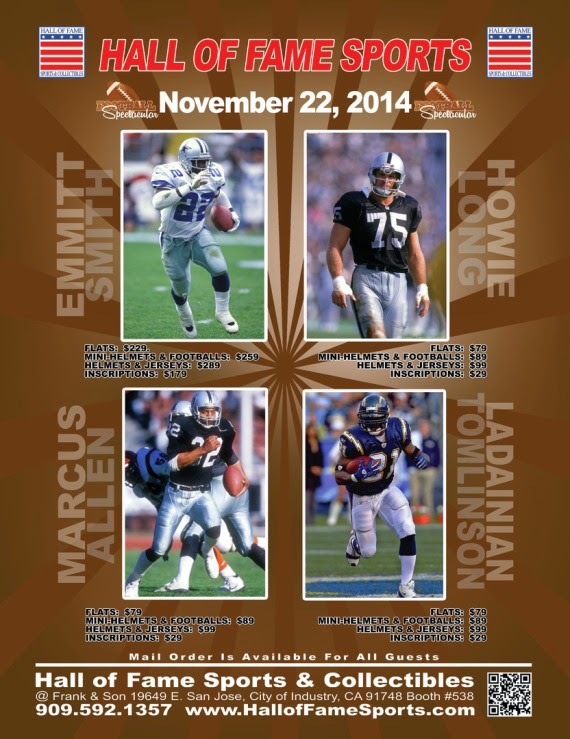 The Football Spectacular signing event is happening this coming Saturday at Frank & Sons in the City of Industry. Go here for information, or here (at Hall of Fame Sports.com). Emmitt Smith, Howie Long, LaDainian Tomlinson, Marcus Allen, Greg Townsend, Odis McKinney and Charles White are scheduled to make an appearance.